To say that this season of Real Housewives of Atlanta started off with a bang would be a total lie. Sure, there is a lot of talk about Kenya Moore’s surprise marriage, but everyone who follows Real Housewives in the off-season already knew about that, so it wasn’t at all shocking by the time the first episode aired. 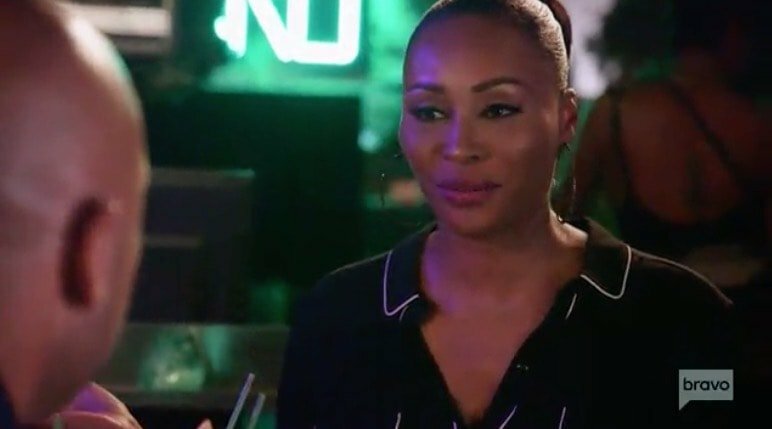 On the bright side, Cynthia Bailey has moved out of that “Will they or won’t they get back together?” phase of her divorce and she is back in the dating pool. It isn’t the most exciting story line at this point, but I can’t help loving Cynthia and rooting for her. Even so, I can’t wait for things to intensify next episode when Kim Zolciak returns and gets in a screaming match with Kenya. THAT is something I’m really looking forward to. Cynthia talked about her date in a post for her Bravo blog. She admitted, “My first impression of Will was that he was super hot! I was like, ‘Is this my birthday present?‘ 50 really is going to be fabulous, LOL!” Good for Cynthia. I know she doesn’t bring much drama to the show (minus that time she kicked Porsha Williams on the boat), but I really do love her and view her as a friend in my head. Cynthia’s actual friends NeNe Leakes and Kenya gave her some radically different dating advice. NeNe wanted Cynthia to really live it up and have fun instead of wifing up so quickly. Kenya (who just got married out of nowhere) told her to take things slowly. Cynthia shared, “I’m taking both NeNe and Kenya’s advice. NeNe advised me to just have fun and be a ‘hoe’ for once in my life. I’m definitely embracing my fun side these days, but I may have to pass on the 50-year-old ‘hoe’ option — LOL! Kenya, on the other hand, advised me to take my time. This is great advice, just not coming from Miss Just Ran Off, Got Married in 3 Months, and Didn’t Tell Nobody Kenya Moore.” They both had valid points and I guess ultimately, they both agreed that Cynthia shouldn’t rush into anything too quickly. However, I can’t see why anyone wouldn’t want to date Cynthia, so Single Cynt isn’t going to last for a long time. TELL US- WHAT DO YOU THINK OF WILL SO FAR? IS HE A GOOD MATCH FOR CYNTHIA? WHICH RHOA STAR WOULD YOU GO TO FOR DATING ADVICE?